AMMPT – The Australian Museum of Motion Pictures & Television – is throwing open it’s door for tours of this incredible collection. 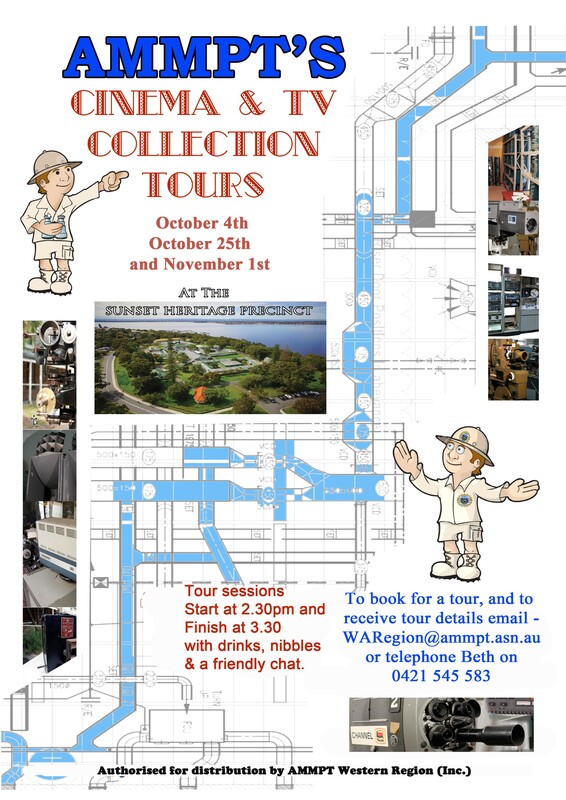 Special dates are set aside for guided tours at the new premises in the Sunset Heritage Precinct, Birdwood Pde, Dalkeith. 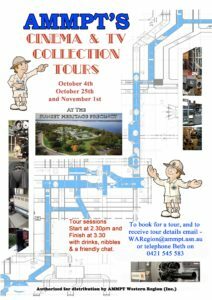 Tours will take place at 2.30pm on either Wednesday October 25 or Wednesday November 4 and run for one hour with refreshments served afterwards. Bookings are essential, please call Beth on 0421 545 583 or via email to: WAregion@ammpt.asn.au for further details.